As a prolific designer I am often asked how I am so productive and design everything from surfaces to tutorials for the DIY world as well as actively licensing my work, publishing regularly and maintaining a lifestyle blog. The answer is two-fold I have the world's most wonderful husband who is my keeper (think zoo) and handles the business end of things along with being a co-designer when it comes to product development or constructive critique. The other is that I am certain that I have CDD (cleaning deficit disorder) If I don't clean I have more time to create--that's my story and I'm sticking to it. That being said I do have a few of the strategies that I use to make the most of my time. How productive can you be if you are drawing with a brick? Get a pen tablet like a Wacom or iskn and you will wonder how you ever worked without one. With the iskn you can use a regular writing instrument to draw on paper and the image is simultaneously developed on your computer screen, iPad, iPhone or Android. There are little areas of my life that are very well organized. Housekeeping is not one of them--deadlines are. Post-its! Everything pending goes on a post-it. I am like a squirrel storing nuts with notes posted around to remind me where each one is buried. I use real-world post-its clinging to the perimeter of my monitor and virtual post-its on my (computer) laptop. These hold ideas, deadlines and whatever. There is very little that is not post-it worthy. Charts I regularly write for magazines and need to keep the theme, release date and due date in mind. For this I create charts. I also use charts for workshop details, product development and more. I suppose it is my visual nature--I like charts. Someone who answers the phone, takes orders, gets rid of telemarketers and decides which calls really need your attention. 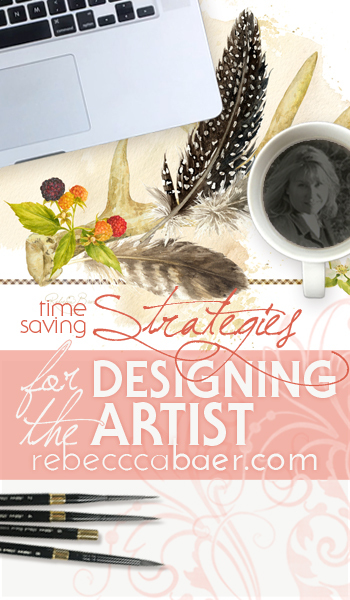 This allows you to stay focused on the designing side of things. Separate your social media from your work computer. I work on my desktop during the day and no extraneous communication comes in to that super-secret email address. My laptop gets the notifications and updates so I can peruse them at my convenience. This requires a separate email address for targeted communications. If you are a "friend" or "connection" you may see that I am not an active day-user. This is out of necessity in order to say focused on the multi-tasks at hand during the day. I typically have several paintings in various stages at any given time. While the paint is drying on one, the background treatment can be drying on another and I can start the process on yet another. Instructions are typed in the meantime, photos are taken and dry steps are scanned. Photo editing software is on deck so images can be formatted. Additional software is open so new surfaces can be designed. Works intended for the educational segment of my world are recorded and then in between painting the elements (while stages are drying) the video is edited and finalized. Completed paintings are scanned and, if intended for licensing are digitally manipulated into various formats. When I have spent too many hours in the office I work on my laptop, usually after dinner (TV is boring). This is when I write blog posts, do website updates and check on social media. If I need to spend fifteen minutes waiting for my etching to be done I use that time to do nearby tasks. Use a Mobile Office (unless you are the driver) Make the most of travel time. Whether going to conferences, conventions, workshops or seminars you probably have a lot of time lost to travel. A laptop may be all you need to stay productive. Some things can be handed off to a third party like printing, packaging, surface cutting, web development and others. Ask yourself, "Do I need to be the one to complete this or just get the ball rolling?" By handing things off to others you can focus on originating. Perhaps house cleaning can fall under this strategy.